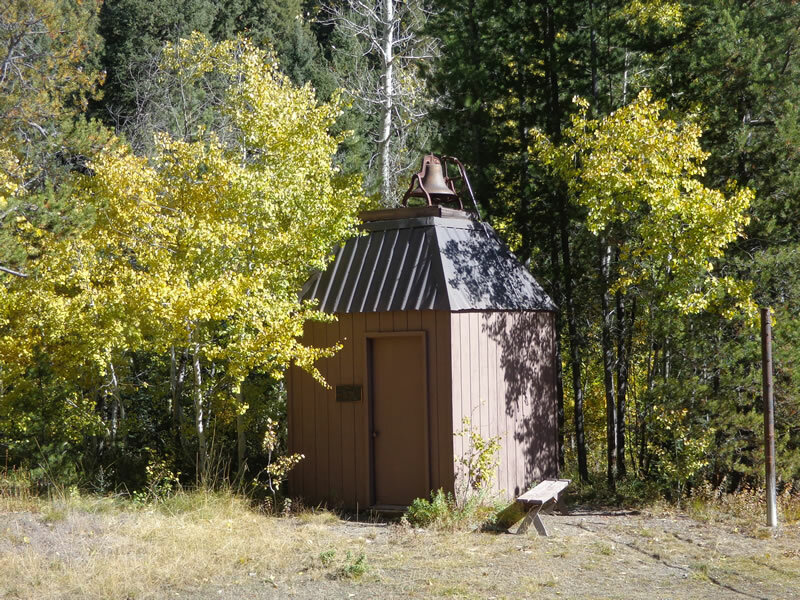 The Sam Stimple Bell Tower is located to the east of Hawley Lodge near the front entrance. It is used to store outdoor recreational equipment. The bell is used to notify campers when to gather for meals, meetings, games, etc. It is also used to notify campers and the Forestry Service of fire emergencies. Three rings gathers campers, five or more rings is the emergency signal.